We offer comprehensive cover at great prices, with an experienced in-house customer care team. We’re one of the few insurance providers to offer loss as standard. We provide unlimited repairs and replacements on all our insurance policies. We offer a hassle-free 12-month warranty on all replacement devices. loveit coverit are one of the largest specialist mobile phone and tablet insurers in the market, providing cover for almost 30 years. A trading name of Pier Insurance Managed Services Limited, loveit coverit is authorised and regulated by the Financial Conduct Authority. We are incredibly proud to offer an end-to-end service. We’ll never pass your claims process on to another company and you’ll always be connected to our own in-house, UK-based customer care team. 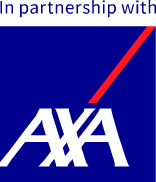 loveit coverit is backed by leading insurance provider AXA, strengthening our product with their positive, global reputation and customer-centric ethos. Insuring over 950,000 devices to-date, we know what’s important to you, and strive to make it as easy as possible to get the right cover. We offer fully comprehensive cover that includes everything from the basics like accidental damage, mechanical breakdown, theft and loss, to airtime abuse and accessory cover. We make sure you’re always protected, wherever you are, whatever you’re doing. Accidents happen. But when they happen to your mobile phone or tablet, our comprehensive cover gives you peace of mind and financial reassurance. We cover the cost of unauthorised calls, messages and downloads up to value of £10,000 made following the theft or loss of your device. Be covered wherever you are. Even your accessories are included. We can help you protect the accessories that allow you to enjoy your device - like headphones, chargers and cases - if they get damaged or stolen. We’ll cover your smartphone or tablet if an electrical or mechanical fault occurs outside of its warranty period. We believe insurance should be simple and affordable, which is why we offer high value policies at fantastic prices. Forget complicated and confusing contracts that do not offer the cover you really need. At loveit coverit, we will always be clear and concise. We promise to keep our industry jargon in our boardroom and out of your policy. 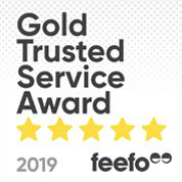 We also believe in quick and pain-free claiming too, which is why all of our customer care teams are based in the UK, all in-house with almost 30 years’ experience. If you have a problem, just give us a call and one of our experts will be on hand to help in a matter of no time. So, if you love your mobile phone and tablet, cover it with loveit coverit today!